Skin repair and rejuvenation is best accomplished with the use of high performance dematologic ingredients designed to accelerate the skin’s metabolism increasing cellular turnover and strengthen the skin’s immune response to prevent abnormal cell development. Serums will quickly improve the skin’s condition and help enhance and prolong results. 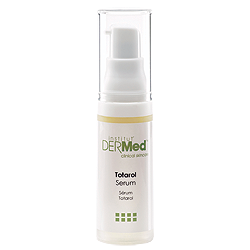 Gain control of your skin with the Institut’ DERMed Totarol Serumformulated with Totarol Extract and Tea Tree Oil to eliminate and prevent reoccurring blemishes for a clear, clean complexion. 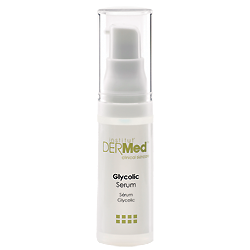 Gain control of your skin with the Institut’ DERMed Glycolic Serum formulated with Glycolic Acid and Sodium PCA to decongest clogged pores reducing and clearing blemishes for a clean, clear complexion. 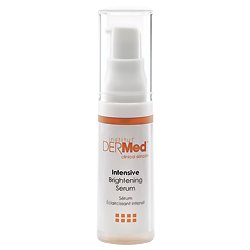 Even your skin tone with the Institut’ DERMed Intensive Brightening Serum formulated with L-Ascorbic Acid and Hydroquinone to dramatically diminish the appearance of stubborn hyperpigmentation for a youthful luminous complexion. 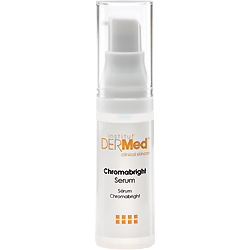 Even your skin tone with the Institut’ DERMed Chromabright Serumformulated with Chromanyl Palmitate and Glycolic Acid to fade dark brown discoloration and renew the skin’s surface for a radiant, luminous complexion. Even your skin tone with the Institut’ DERMed Vital C Serum formulated with L-Ascorbic Acid and Fructooligosaccharides to prevent free radical damage and promote collagen production for a luminous, youthful complexion. 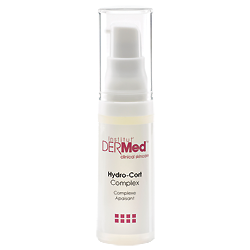 Fortify your skin with the Institut’ DERMed Hydro-Cort Complexformulated with Hydrocortisone and Bisabolol to relieve irritation and restore a normal, comfortable complexion. A serious sensitive skin calming complex formulated without: parabens, mineral oil, sodium lauryl sulfates, phthalates, artificial dyes or synthetic fragrances. Products not tested on animals. 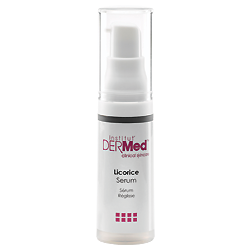 Fortify your skin with the Institut’ DERMed Licorice Serum formulated with Licorice Root Extract and Totarol to reduce irritation and redness for a normal, comfortable complexion. Transform your skin’s future with the Institut’ DERMed EGF Serum This concentrated anti-aging serum formulated with Astiatica Extract and Amino Acid Epidermal Growth Factors deeply hydrates and replenishes dry skin promoting new skin cell growth for an age-defying, youthful complexion. 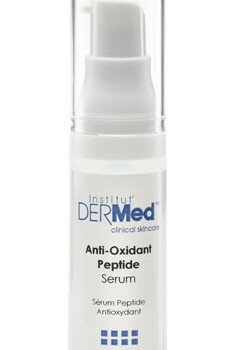 Transform your skin’s future with the Institut’ DERMed Anti-Oxidant Peptide Serum formulated with Pro-Coll-One Peptides and Apple Stem Cells to stimulate collagen production and prevent free radical damage for an age-defying, youthful complexion. Transform your skin’s future with the Institut’ DERMed Vital A Serumformulated with L-Retinol and Glycolic Acid to smooth fine lines and wrinkles for an age-defying, youthful complexion.